Getting ringtones for your phone is a great way to interact with your favourite music and assert your personal style. 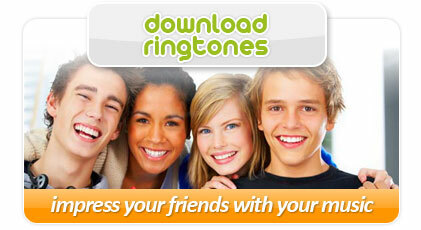 We've selected a large number of ringtones to help personalise your phone. In addition to ringtones, we've also found a great selection of wallpapers and screensavers to define your style. There are three types of ringtones: polyphonic ringtones; monophonic ringtones; and true tones. Monophonic ringtones consist of a series of different beeps made at different frequencies. They are compatible with today’s cell phones. Only one note can be played at a time. Polyphonic ringtones can consist of 16 sounds at once. The sounds create a melody that is harmonic. All new phones can use polyphonic ringtones. Companies that make cellphones that can use polyphonic ringtones include Motorola, Panasonic, Samsung, Sanyo, and others. There are many types available for download. MP3 Ringtones, or true tones, allow original instruments and voices. One can hear music of the past or current hits with true tones. Later phones are compatible with true tones. Whenever you get a call, you can hear your favorite song on your cell phone with a true tone.